The Academy is excited to announce that Glen Crosby will be upgrading his involvement with the corps in 2007. Since the corps' inception as the Summer Brass & Percussion Ensemble in 2001, Crosby has served in a capacity as percussion and design consultant. This year, he will be serving as the caption head and arranger for the Academy's percussion section. Read more on www.arizonaacademy.org. 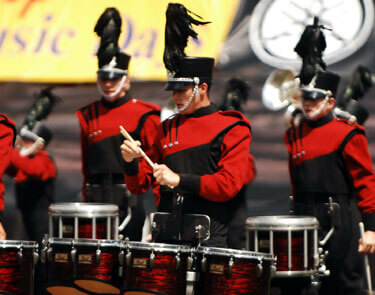 An Academy tenor drummer at the 2006 DCI World Championships in Madison, Wis.